Upwards of half of all fatal Massachusetts car accidents are caused by drunk drivers, according to the National Highway Traffic Safety Administration. Someone dies in a drunk driving accident in the United States every 45 minutes. Of course there are habitual offenders on our roads; people who have no regard for their own safety, let alone the safety of innocent motorists. But many drunk driving accidents involve regular folks, who simply misjudged their ability to drive or who were embarrassed to take a cab or ask for a ride. Tragically, teenagers are also at increased risk for being involved in a fatal car accident involving alcohol. Boston Injury Lawyer Jeffrey S. Glassman and our entire staff encourage you to stay safe this summer, use a designated driver, and talk to your teenagers about the dangers of drunk driving. This is the third installment of our Safe Driving Series and we hope you will return to our Boston Car Accident Lawyer Blog to check for updates. In 2008, 151 of 363 fatal Massachusetts car accidents involved a driver who had alcohol in his system — or 42 percent of all fatal crashes. In 124 of those cases, a driver was legally drunk. Of those, 81 drivers tested over .15, or twice the legal limit of .08 for drunk driving in Massachusetts. Those figures put Massachusetts among the Top 10 states nationwide. Only Hawaii, Louisiana, Montana, North Dakota, Rhode Island, Texas, Virginia, Wyoming and Washington had a greater percentage of alcohol involvement in fatal traffic accidents. Nationwide, one-third of all fatal traffic accidents involved a drunk driver, claiming 11,773 lives in 2008. -Someone is killed in a drunk driving accident every 45 minutes. 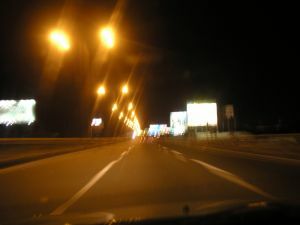 -Accident rates are four-times higher at night than during the day. -Drunk driving accidents are twice as likely to occur on the weekend. -Drivers ages 21 to 24 were most likely to be involved in a fatal drunk driving accident. If you have been the victim of a Massachusetts drunk driving accident, contact the Law Offices of Jeffrey S. Glassman for a free and confidential appointment to discuss your rights. Call 877-617-5333.